Updated Monday January 7, 2019 by Greenwich Village Little League. Registration for the 2019 GVLL Spring season is open. The winter is when we build teams, order uniforms and get equipment set for the upcoming season. For those age 9 and older, the fee includes indoor winter workouts at P3 on Sundays. Tentative: Season to start first weekend in April. Tentative: Season to end weekend of June 15th. GVLL Opening Day event will take place on Saturday April 6th. All players will hear from coaches in March, with some divisions having tryouts or assessments in February and practices in March (see links below on divisions for more info). Finally, GVLL is an all-volunteer organization. Everyone who registers will be asked how they are willing to pitch in and everyone will be expected to honor their commitment. Please make your choice knowing that someone from our Volunteer Committee will be following up to confirm your selection and to provide you with further details. As always, information will be updated and shared at www.gvllnyc.com. Register before December 31 at the early bird rate of $275 for all divisions! Starting January 1st, the registration fee will be $300 for divisions, except $275 for T-Ball division. Register before March 1st to avoid late fees. On March 1st registration increases to $350 for all divisions except T-Ball. Sibling discounts are available for 2-4 players of same family. Each additional family member receives a $25 discount per player. Some divisions will require tryouts. These tryouts will be scheduled in February 2019 and families will be notified of them in advance by email. Players must reside or attend school in the GVLL boundary area. A boundary map is available here. Field of play and division schedules are still being determined. We will provide updates during the registration process at gvllnyc.com. Please note that players must provide their own mitts/gloves and protective cup. All baseball divisions are coed. Some divisions require tryouts which will be held in February at a date and location to be determined. All divisions include professional instruction from P3 baseball and softball instructors. Fields of play for the 2019 schedule are still to be determined and may include a mix of the following based on availability and division of play: Pier 40, Central Park (various fields), Passannante Field, Chelsea Waterside Park, Chelsea Park, Murry Bergtraum, Randall's Island (various fields), and, of course, JJ Walker. Juniors and Seniors divisions are wood-bat-only leagues and teams may be mixed with players from other participating leagues. Age cutoffs: Use this link to determine your player's League age. Ages 5-6, T-Ball – 1 session per weekend, on Sunday mornings at Pier 40. Ages 7-8, Junior Minors – 1 weekend practice (Sat.) and 1 weekend game (Sun. ), primarily at Pier 40, Chelsea Park and Passanante. Ages 9-11, Minors – ​1 weekend practice on Sundays at Chelsea Park or at Pier 40, and 1 weekend game on Saturdays at Pier 40. 1 or 2 games over course of season at JJ Walker. New this year, all players will be assessed in order to properly equalize teams as much as possible..
Ages 10-12, Majors – Entry is by mandatory tryout, even for returning players (generally on Superbowl Sunday). 1 weekday practice (Pier 40 or JJ Walker), 2 weekend games (Pier 40, JJ Walker on Friday, Saturday and/or Sunday and occasional games on Sundays at Randall's Island Field 40). Ages 13-14, Juniors – tryouts required, even for returning players. 1 weekday/night practice (Pier 40), 2 games on Saturday and/or Sunday with travel (fields include Central Park, Murry Bergtraum, Randall’s Island and Pier 40). Ages 15-16, Seniors – tryouts required, even for returning players. 1 wkday/night practice (Pier 40), 2 games on Saturday and/or Sundays with travel (fields include Central Park, Murry Bergtraum Field, Randall’s Island and Pier 40). 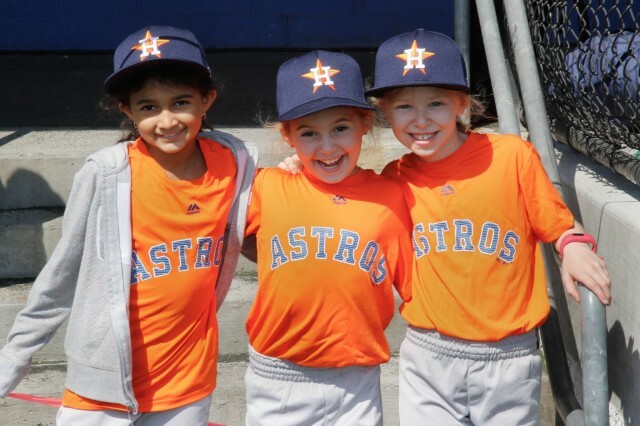 All softball divisions are for girls only and include practices and extensive workshops, coaching and clinics. Fields of play for the 2019 schedule are still to be determined and may include a mix of the following based on availability and division of play: Pier 40, Central Park (various fields), Chelsea Waterside Park, Chelsea Park, and JJ Walker. In addition, Majors, Juniors and Seniors will play other leagues at their home fields (Riverside Park, Battery Park City, others). Exact dates/times/locations for individual team practices and games are still to be determined. Ages are based on your child's age as of 12/31/18. Below is a summary of each Softball Division. For more detail on each division, please visit the “Divisions of Play” link on the GVLL website. Ages 7-8, Junior Minors – Practices on Saturdays with professional coaches, intraleague games on Sundays. Majority of games and practices will take place at Chelsea Waterside Park. Ages 9-10, Minors – 1 practice at Pier 40 with professional coaches during the week, 1 practice per weekend on Saturday mornings at Chelsea Waterside Park. Recreational inter-league and/or intra-league game generally on Sunday (combination coach and kid pitch), sometimes with nearby Little Leagues either at Chelsea Waterside Park, Pier 40 or a nearby Little League facility (for example, Westside Little League Fields at Riverside Park). Ages 13-14, Juniors – 1 practice at Pier 40 with professional coaches during the week, 1 team practice at Pier 40 during the week or Saturdays, 1 or 2 competitive recreational inter-league games each weekend with nearby Little Leagues either at Pier 40, Chelsea Park or a nearby Little League facility (for example, Westside Little League Fields at Riverside Park. Ages 15-16, Bigs – 1 practice at Pier 40 with professional coaches during the week, 1 team practice at Pier 40 during the week or Saturdays, 1 or 2 competitive recreational inter-league games each weekend with nearby Little Leagues either at Pier 40, Chelsea Park or a nearby Little League facility (for example, Westside Little League Fields at Riverside Park. To register, please go to www.gvllnyc.com, click the big red "Spring 2019 Registration is Now Open" button and follow the instructions for registering one or multiple players. Only age-appropriate divisions will be presented and any sibling discounts will be automatically applied. See below for Financial Scholarship. 1. Confirm that you reside or attend school in the GVLL boundary by checking the map. If you do not live in this area, you must contact your local league to obtain a waiver from the Little League Charter Committee in Williamsport. 2. Proceed to our website, www.gvllnyc.com, click the big red "Spring 2019 Registration is Now Open" button and follow the instructions for registering one or multiple players. Only age-appropriate divisions will be presented and a sibling discount will be automatically applied. For those requesting financial assistance, please click this link before proceeding: Request Scholarship for 2019 Spring Season to email your request to the GVLL Board. Companies, Families and Individuals can sponsor a Greenwich Village Little League team for the 2019 season. For more information, please visit Sponsorship Details or register as a sponsor here. Online Sponsorship Form, or email gvll.sponsorteam@gmail.com if you have any questions or need more info. Lastly, as most of you know, GVLL fields and facilities are facing some tough challenges so it's more important than ever that we come together as a community to protect our children's field space. Please consider following GVLL on Facebook and Twitter to stay up-to-date and learn how you can help. Please feel free to pass on this information to any families who live in our catchment but have not registered previously for GVLL. We look forward to seeing you this Spring and playing ball together.